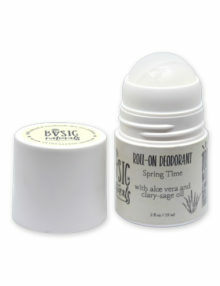 Basic and natural vegan and aluminum free deodorant to keep your underarms fresh and so clean all day long (and night). This formula is designed for most skin types including sensitive skin. This quick drying formula will eliminate and protect against body odor even in the most intense workout. How to use: Shake well before use. 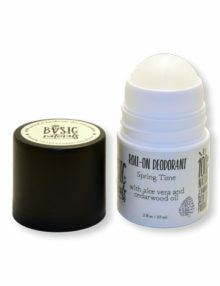 Roll onto underarms after shower or as needed. Store in cool, dry place.